A group of Boston-bred gangsters set up shop in balmy Florida during the Prohibition era, facing off against the competition and the Ku Klux Klan. Joe Coughlin: [narrating] In 1917, I signed up to fight the Huns in France. Good men died all around me, and I saw no reason for it. The rules we lived by were lies. And they didn't apply to those who made them. I swore If I made it home, I would never follow orders again. I left a soldier, I came home an outlaw. Ben Affleck's new movie could best be described as "sprawling". 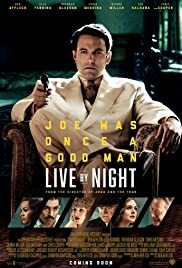 In both directing and writing the screenplay (based on a novel by Dennis Lehane), Affleck has aimed for a "Godfather" style gangster epic and missed: not missed by a country mile, but missed nonetheless. 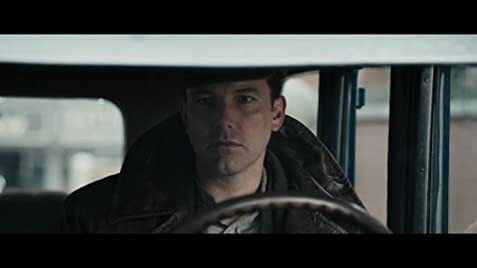 Morally bankrupted by his experiences in the trenches, Joe Coughlin (Affleck) returns to Boston to pick and choose which social rules he wants to follow. Not sociopathic per se, as he has a strong personal code of conduct, but Coughlin turns to robbery walking a delicate path between the warring mob factions of the Irish community, led by Albert White (the excellent Robert Glenister from TV's "Hustle"), and the Italian community, led by Maso Pescatore (Remo Girone). Trying to keep him out of jail is his father ("Harry Potter"'s Brendan Gleeson) who – usefully – is the Deputy Police Chief. Life gets complicated when he falls in love with White's moll, Emma Gould (Sienna Miller). The scene is set for a drama stretching from Boston to the hot and steamy Everglades over a period of the next twenty years. Although a watchable popcorn film, the choppy episodic nature of the movie is hugely frustrating, with no compelling story arc to glue all of the disparate parts together. The (often very violent) action scenes are very well done and exciting but as a viewer you don't feel invested in a 'journey' from the beginning of the film to the (unsatisfactory) ending. In my experience it's never a good sign when the writer considers it necessary to add a voice-over to the soundtrack, and here Affleck mutters truisms about his thoughts and motives that irritate more than illuminate. The sheer volume of players in the piece (there are about three film's worth in here) and the resulting minimal screen time given to each allows no time for character development. Unfortunately the result is that you really care very little about whether people live or die and big plot developments land as rather an "oh" than an "OH!".
. I'm thinking about "The Accountant". I don't know whether he filmed these films in parallel. I generally enjoy Ben Affleck's work (he was excellent in "The Town") but for 95% of this film his part could have been completed by a burly extra with an Affleck mask on. In terms of acting range, his facial muscles barely get to a "2" on the scale. 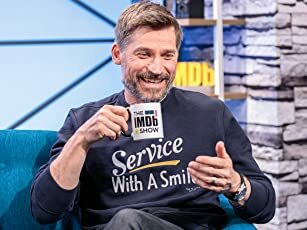 Given the double problem that he is barely credible as the "young man" returning mentally wounded from the trenches, then in my opinion he would have been better to have focused on the writing and directing and found a lead of the likes of an Andrew Garfield to fill Coughlin's shoes. That's not to say there is not some good acting present in their all but brief supporting roles. Elle Fanning ("Trumbo", "Maleficent") in particular shines as the Southern belle Loretta Figgis: a religious zealot driving her police chief father (Chris Cooper, "The Bourne Identity") to distraction. Cooper also delivers a star turn as the moral but pragmatic law-man. Sienna Miller ("Foxcatcher") delivers a passable Cork accent and does her best to develop some believable chemistry with the rock-like Affleck. Zoe Saldana ("Star Trek") is equally effective as a Cuban humanitarian. but overall a disappointment, with Affleck over-reaching. One day we surely will get a gangster film the likes of another "Godfather", "Goodfellas" or "Untouchables". Although this has its moments, unfortunately it's more towards the "Public Enemies" end of the genre spectrum. 71 of 93 people found this review helpful. Was this review helpful to you?